Talofa! Mālō e lelei! Kia Orana! Fakaalofa atu! 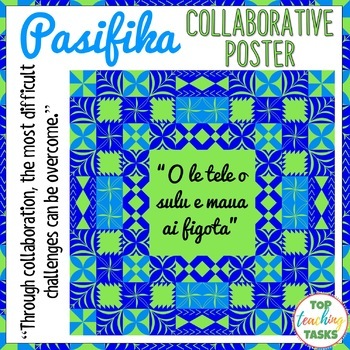 Bring the vibrancy of the Pacific Islands into your classroom while encouraging collaboration and team work with this fun and interactive collaborative poster. This poster features authentic Polynesian designs from Samoa, Tonga, the Cook Islands, Niue and Tokelau. It would be a great back to school resource to build a culture of collaboration, team work, and cultural diversity in your classroom. Students work together to complete a large poster, one piece at a time. As individuals, the poster is impossible, but together, it is a thing of beauty! 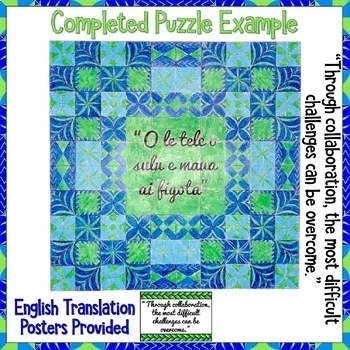 When printed in A4, this poster measures approximately 1 m x 1 m.
The quote that is displayed on the poster is a traditional Samoan proverb: "O le tele o sulu e maua ai figota." “Our strength does not come from us alone but from many." What a powerful message to impart into your students! *If you have another translation, please let me know and I can easily add this for you. 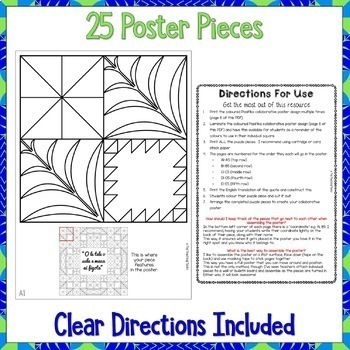 25 poster pieces (one per A4 piece of paper). These are numbered clearly and show which part of the poster each student is completing. A colour example of the poster to show students the intended outcome. Clear instructions on how to complete and assemble the poster. 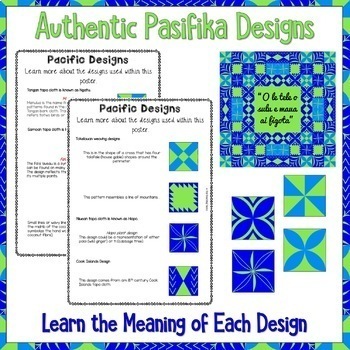 Explanations of the Pacific designs found in this poster and their meanings. Additional posters featuring the English translations to display alongside the completed poster. You can find our full range of Pacific Island products here. We really appreciate your feedback! Leaving feedback earns you TPT credits! If you're interested in upcoming Top Teaching Tasks resources, click here to FOLLOW us.